You Want Cleaner and Newer-looking Carpets in Battersea? In Battersea carpet cleaning has to be done every now and then, especially if you are renting an apartment or house and need to keep it regularly cleaned. Our carpet cleaning company Carpet Cleaning Battersea will deliver very reliable and efficient carpet clean and you can call us on 020 3540 7569 for a fixed fee, whenever you require our services. Our carpet and rug cleaning in London can be a life-saver to tenants who are trying to get rid of tricky stains, blemishes and marks and we can reduce discolouring and depressions with our carpet cleaning machinery and products. The carpets, curtains, sofas and rugs you have at home will over time attract and retain dirt and sometimes getting them professionally cleaned is a must. Carpet Cleaning Battersea high quality and intensive upholstery cleaning is well worth trying out. Our hardworking Battersea upholstery cleaners deliver fantastic and very affordable upholstery clean to home owners and tenants and we can restore your upholstery to its former glory with a number of very refined techniques and sophisticated cleaning products. Our sofa cleaning is the best available in London and we will bring everything we need with us. Landlords who have re-entered very messy houses and apartments need only contact our end of tenancy cleaners on 020 3540 7569 to have their property cleaned to a high standard and ready for re-letting. Our Battersea end of tenancy cleaning is as intensive and thorough as any London cleaning service and you can call us in at very short notice when you have to get it ready for new tenants. A thorough end of tenancy clean in SW11 region is exactly what we offer and that includes cleaning carpets and ovens. Move out cleaning not done by your tenants is a job for us! Having your Battersea home cleaning is a luxury that not every home owner or tenant thinks they can afford but with our domestic cleaners available at very low cost, you’ll suddenly find that you can afford to invest in our domestic cleaning whenever you need some extra help. 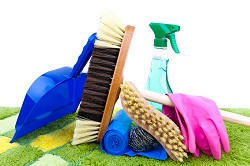 We clean every aspect of your home and that doesn’t just mean hoovering the carpets, dusting and wiping down surfaces. We clean ovens, refrigerators, baths and showers and we scrub tiles, windows and window panes and dust skirting boards, ornaments and television sets to make your home clean. Many house cleaners Battersea just do the basics and others will only operate under instruction. Our house cleaning services are all about initiative and common sense. We know from our experience what it takes to get a house clean and that’s why our domestic cleaning is all about making life easy for you. We take bins out, change beds, wash and iron clothes and linen and we can clean out your cupboards for you if you want. Our home cleaning is very intensive and that’s one other reason why you should turn to our cleaning company Carpet Cleaning Battersea in your hour of need. Few commercial cleaners Battersea are as efficient and as handy as ours are. We will take on your office cleaning and give your company the clean and tidy it deserves at the end of a long day. Our office cleaners in the SW11 region are very hardworking and reliable and you can depend on us to clean for you out of hours as we have a very strict supervision policy and work very capably under time pressure. The advantage to your company is that our commercial cleaning team will give you a clean and tidy office when you come in the following morning and we can take on any spring cleaning job you need us to. The only thing you need to do is to contact our experts on 020 3540 7569 and get our special offer. Get the most affordable carpet cleaners services in Battersea and see how easy and efficient cleaning can be. Battersea, Earls Court, Chelsea, Colliers Wood, Clapham South, Tooting, Brixton Hill, Clapham, Mitcham, Stockwell, Southfields, Earlsfield, West Brompton, Fulham, Wimbledon, Brompton, Balham, Putney, Streatham Hill, Clapham Junction, Roehampton, Morden, Tulse Hill, Kingston Vale, Parsons Green, South Kensington, Wandsworth,Oval, Knightsbridge, Merton Park, Merton Abbey, Southfields, Brixton, Clapham Park, SW7, SW15, SW4, SW8, SW12, SW17, SW18, SW11, SW10, SW6, SW5,SW3, SW15, SW9, SW19, SW2, SW11 and the rest of London as well. 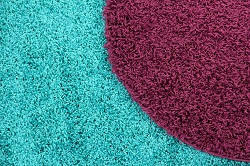 Description: Avail yourself of our carpet cleaning experts available 7 days a week and get your carpet clean in no time. Contact us on 020 3540 7569 now, offer expires! Copyright © 2015 Carpet Cleaning Battersea. All rights reserved.